The General Land Office of the United States issued a formal patent for 640 acres of land at Montrose in the Iowa Territory on the Mississippi River shoreline, on February 7, 1839 to Edward Brooks and other heirs of Thomas Riddick. After the Louisiana Purchase the courts agreed to recognize previous French and Spanish land claims in that area. Shortly after the formalities of the patent were finalized, Edward Brooks filed for a hearing for the next session of the U.S. District Court to be convened at the Fort Madison Courthouse for Lee County. At an April 1839 court session an “action of right” was commenced against several residents on the one square mile land in question which included: William Coleman, David W. Kilbourne, John Taylor, Brigham Young, Wandle Mace, Harmon Booth and several others. After the Mormons were expelled from Missouri, a group of Saints lead by Israel Barlow moved south along the Mississippi and settled at the abandoned Fort Des Moines barracks. Barlow made the initial contact with Isaac Galland for church members to buy the lands. They were followed by other church leaders including Brigham Young and John Taylor who likewise agreed to rent space in the barracks to house their families temporarily until more suitable arrangements could be made. One of the early targets of Edward Brooks was against David Kilbourne, known to be an agent for the New York Land Company. Kilbourne and the New York Land Company, as defendants, determined to keep the matter concealed from Joseph Smith and the saints. Hiram Barney, another agent for the New York Land Company frantically wrote to Francis Scott Key, their attorney, on July 30, 1839, “We deem it of the highest importance and it is our earnest desire that you should proceed to Iowa as soon as you possibly can”. Hiram Barney continued calling for Francis Key to come to the Iowa Territory as they were in serious need. Francis Key, the famous poet whose writing of events of the War of 1812 later became the national anthem, responded that he couldn’t come at that time due to sickness and that he was still heavily involved in other legal work particularly regarding settlements with the Mexican Government for war reparations. He was further delayed after the surprising death of President Harrison. At age 61, Key, an accomplished attorney in Baltimore and former district attorney arrived at Fort Madison on Wednesday, April 28 after traveling nearly a thousand miles. Francis Key arrived in the Half Breed Tract area of the Iowa Territory early in May 1841 and toured the main sites of the holdings of his client, for the trip. Greatly concerned, Key wrote to Barney, “We are engaged in our Reddick cause… I see that it is to be fought desperately and at great length.” (Referring to the Edward Brooks et.al. claims regarding the Thomas F. Reddick Spanish Land Claim). He had the day before been to the Fort Madison Federal District Courthouse still under construction. Judge Charles Mason had consented to Key’s proposals and later issued a formal decree of partition based on that formula. It is likely that Judge Mason knew that Key’s brother in law was none other than Roger Taney, the Chief Justice of the U.S. Supreme Court, and hoped not to have been overruled if these very hotly contested verdicts were appealed. Key recognized however that the primary problem for his client still remained that the Reddick heirs were stubborn and unwilling to compromise. Francis Scott Key, on behalf of the trustees of the New York Land Company agreed to join suit to the previous Petition for Partition filed April Term, 1840 To the District Court of Lee County, in the Territory of Iowa. Judge Charles Mason presided during the proceedings and made the final ruling for the petitioners. Other local attorneys representing petition claimants agreed to join the 1840 petition of Josiah Spalding with Francis Key. All these attorneys understood that by their actions they were disenfranchising all of the Mormon residents from their homes in the entire Half-Breed Tract. The lands purchased by Joseph Smith, Vinson Knight, Granger, and others of twenty thousand acres were being reallocated to the 101 claimants. Proper due process and notifications had not been provided the Mormons or their leaders. Principals of the New York Land Company had not been honest with Key concerning the validity of the claims to the Mormon lands. Key had been misled that Isaac Galland was still a partner of his client. Key had neither the time nor the inclination to meet with the Mormon leaders and understand their side of the story or to attempt to understand anything of their religion. Key had an understandable bias since the Mormons were in opposition to his client. He saw the many opportunities for his client in developing this land and that the great commercial center that it could become. The Mormons were perceived as a threat because of their growing numbers. 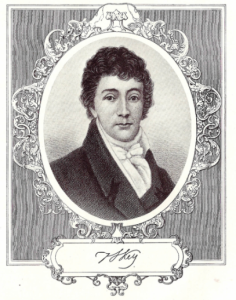 Francis Scott Key died January 11, 1843. His family would receive very little from the principals of the New York Land Company for his successful plan regarding the partition of the lands in the Half Breed Tract. In the recently renovated Church History Museum, the map of Nashville, Iowa shows the astounding results of the partition agreement. The pinkish highlighted areas on the map represent the allocated portions belonging to the New York Land Company for their 41 shares. The uncolored portions represent the lands allocated to the other 60 claimants. After extensive research it appears that the principals of the New York Land Company committed fraud in secretly taking the nearly 20,000 acres the Church leaders purchased in Montrose, Nashville and other areas in the Iowa Territory from Isaac Galland.